This is a place where friends can meet and where families feel comfortable bringing the kids. 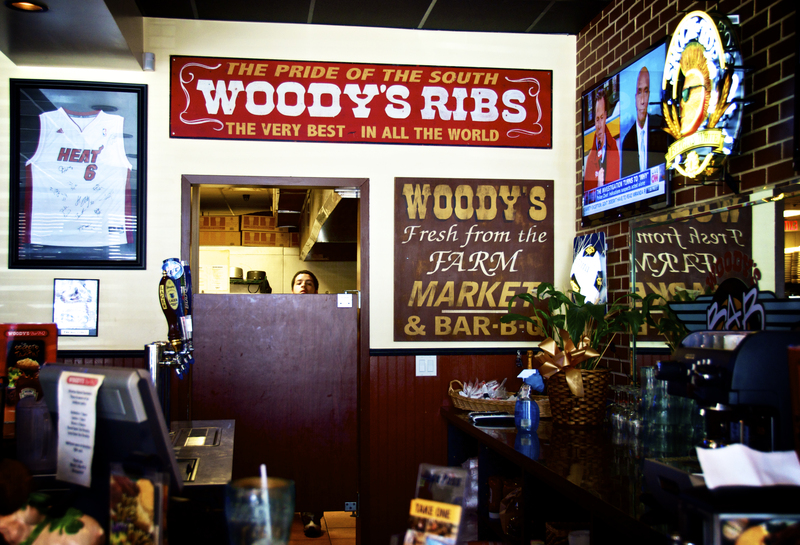 No gourmet food at Woody’s Bar-B-Q Restaurant, but walking away with a full belly and a happy face is guaranteed. 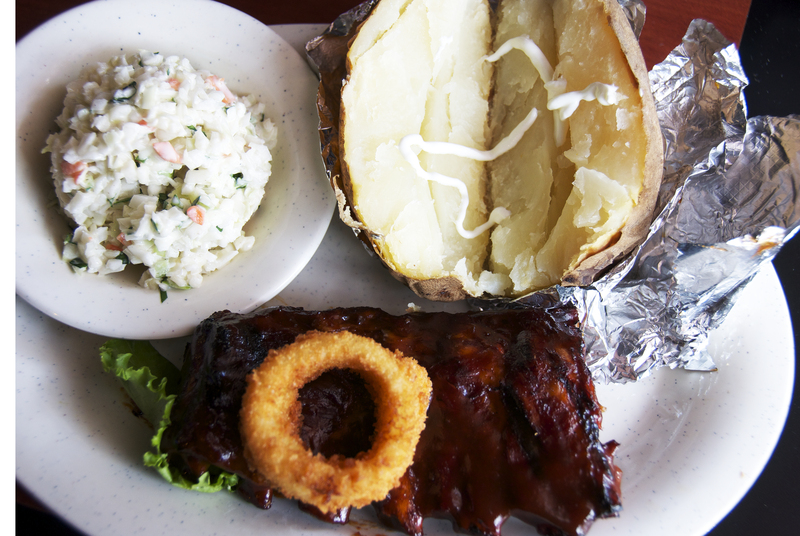 Woody’s Signature Baby Back Ribs were part of the lunch menu and came with two sides. As a side you can choose Bar-B-Q Beans, Creamy Cole Slaw, French Fries, Sweet Potatoes, Country Vegetables, Baked Potatoes or Mashed Potatoes with gravy. It was a lot of food on one plate and everything was really tasty. The ribs were indeed special: smoky, soft, falling-of-the-bone good. Half a rack of ribs was not enough for me though; I almost stole a piece from my daughter’s dish and the look she gave me was fierce. The presentation was not pretty but this was obviously not the goal here. There are many locations in the United States and the franchise is growing. We visited the location in Kendall; the service was cordial and sweet. I say sweet because it felt like being in someone’s home instead of a restaurant. I visit daily a few web pages and information sites to read posts, but this web site provides feature based articles.